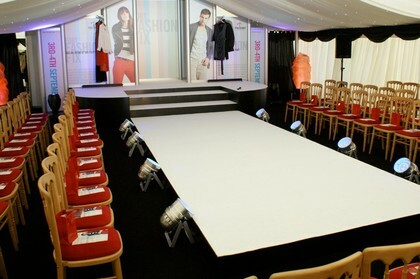 Have you considered hiring a stage for your event? A stage is ideal if you have a live band playing at your event, want to give the DJ more prominence, or have the need to give a speech at a seminar or conference. 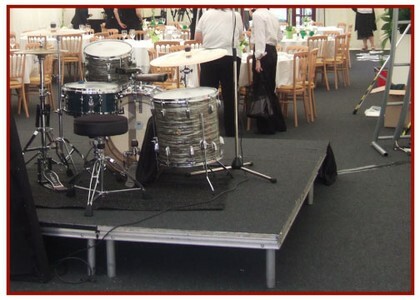 Our stage system is a flexible system with the option to add additional units to meet your requirements. The folding frame is strong and robust but folds flat for easy storage and handling, Stage tops are 18mm exterior grade plywood (in black as standard) are 8ft x 4ft x 1ft. At the base of the stage there is a black curtain that runs across the front edge hiding the frame and legs.